Spring has officially begun on Cape Cod! It may not feel like it, but hot and humid weather will be here very soon. 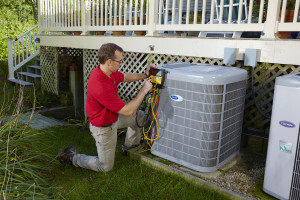 Now is the time to have your Air Conditioning system checked by an HVAC contractor. Just like your car, A/C system components such as the compressor and evaporator coil need to be checked before they are running full speed on an 85 degree day. This type of maintenance can prevent costly repairs during the Summer. Contractors such as Robies are usually inundated in the Summer, making it difficult to respond quickly to a failed A/C unit. The recent batch of Nor’easters have changed the shape of the Cape, shifting coastlines and causing immense damage. 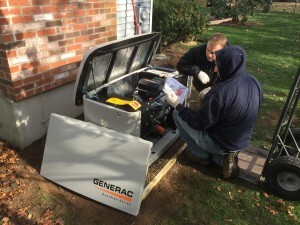 If you have a natural gas or propane automatic standby generator, it would be wise to have the generator checked. If it ran continuously during power outages, the oil will need to be checked and most likely should be changed. There are also considerable electrical components as well as the battery that should be inspected. Have it checked now so that it fires up safely next time its called into service! This is also a great time of year to develop a plan for summertime humidity mitigation. Humidity is terrible for the woodwork in your home – floors, cabinets, walls, etc. It provides a perfect environment for mold and mildew to grow, not to mention it makes us extremely uncomfortable in our homes. If you don’t have a system in place to pull the moisture out of your home, now is the time to look into one. Whole home dehumidifiers perform brilliantly at reducing humidity. 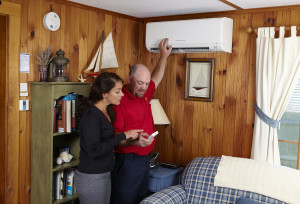 Ductless systems are also excellent at drying out your home, and they provide A/C.